As it’s unarguably an art form, wood staining should not be assumed to be a simple process. In fact, it’s often recommended that someone with experience (or even a professional) apply a wood-staining product on your wood floors or other furniture to ensure adequate and effective application. While there are more or less 5 specific types of wood staining products that are approved, recognized, and most reputable within the general public they need not be underestimated in strength, effect (positive and negative), and purpose. The ability to re-stain or reinforce the current grain or patterns on your furniture. Testing various patterns for future furniture, and examining the variations of results when using each product with different types of furniture and surfaces. When using just about any wood-stain it’s essential that you properly seal your furniture with a furniture-sealer before attempting to mix these chemicals and the product with the current surface and any other chemicals, dirt, or other oils that are potentially on the furniture—in other words, clean your surface first! Non-penetrating and penetrating forms of furniture stains are the most popular, likely because they’re the simplest to understand and apply. While non-penetrating furniture stains use natural, pigmented oils, penetrating stain products will be made with stronger chemicals such as solvents like turpentine—which can be very dangerous and even permanently damage your furniture if used incorrectly. People and professionals alike often lean towards using NGR stains because they’re cheap and seemingly add a nice texture and polish to furniture upon contact and drying. However, don’t be fooled, alcohol-based products—denatured or not—are not good for many types of furniture and will likely fade over time. 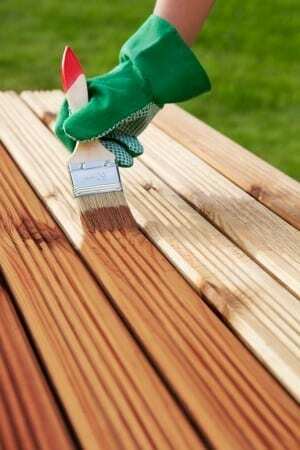 Varnish and Sealer stains are the last of the 5 most popular types of staining products. Last but not least, these are highly selected because they’re used with non-harmful chemicals, last a longer time if applied correctly, but also require proper sealing before walking away from the project. When using any stain, it’s essential that you read the directions (and before you even purchase the product) it’s important that you understand what types of wood (soft or hard) or furniture (surface type) you’re going to apply it to. The manufacturers that design staining products can only accept so much liability, so ultimately, negligence or abuse of their products won’t be covered in replacing your furniture—no matter how expensive or cheap it was. Keeping this in mind, ensure you conduct research into the product you’re considering, and remember, it’s an investment of your money—so pay the few extra dollars for a higher quality product if possible.